Atari's celebrating 40 years of arcade classic Pong today by releasing ... another version of Pong. Pong World is being dubbed "the first-ever official new Pong game on iOS" (despite our search of the App Store dictating the contrary), but more importantly, it's totally free and it's already available on the iOS App Store (see gameplay below the break). 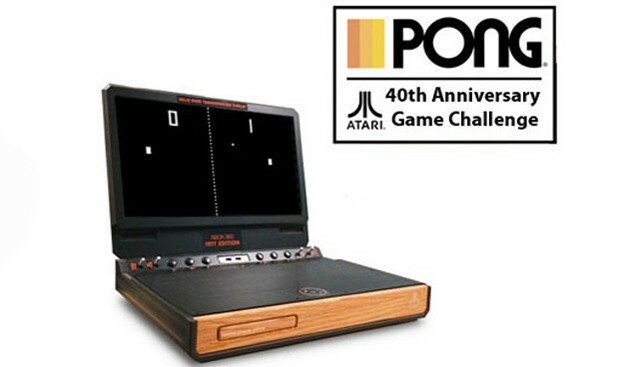 The iPhone / iPad / iPod Touch game started life as one of many entries in Atari's "Pong Indie Developer Challenge," which pitted devs against each other for $50K and lead representation on the big four-zero celebration. Should the free game not be enough for you, you could always vie for one of the crazy sweet portable Xbox 360s (seen above) on Atari's Facebook page. Why yes, that is a custom LCD screen attached to a modded Xbox 360, which also happens to resemble a classic Atari console. And yes, we agree, it is totally sweet.